Mark Jefferies will fly the EXTRA 330SC at this years show on the 20th May, Groningen in the North of Holland EHOW hosts an annual air display which has become a “must go to” show in Holland. A spectacular event where over 17 000 people, young and old come to enjoy. It promises to be a spectacular event with hundreds of aircraft and thousands of visitors. Experience it, take your kids, friends, family and acquaintances along. Pilots briefing notes here. Some of the other teams at the show are :- The Seagull Formation, with there army green Focke Wulf Piaggio P149D, 3 aircraft formation display. 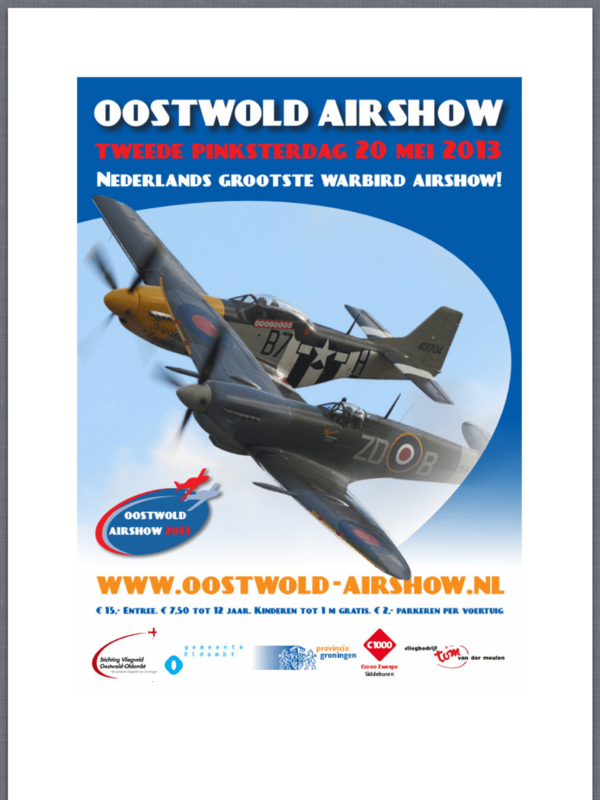 The Antonov AN2 of Classic Wings, built in 1957, will again visit Oostwold, as in previous years. It is the largest single-engine biplane ever built with a maximum take off weight of 12,500kgs. With the powerful 1000 HP radial engine needs only 200 meters for take off. The minimum airspeed with lowering flaps and slats, is 50 km / h.
The SWIP team from the UK flying the Silence Twister SA1100 which has fantastic flying properties. Flown by Peter Wells and Guy Westgate.